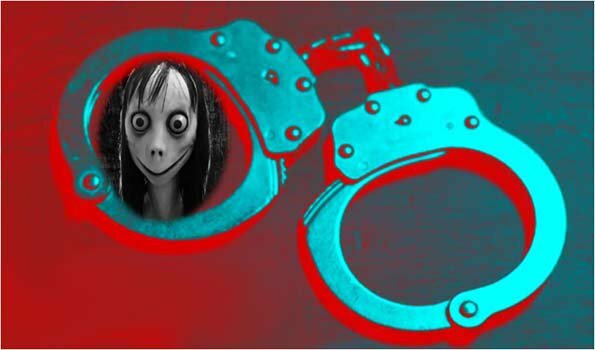 Kolkata: An engineering student, suspected to have engineering scary online "MOMO" game, which allegedly cost two lives including a meritorious class XII student of Kurseong hill, and creating terror among the student community across Bengal, was today arrested, police said. Arindam Patra, a first-year student of BC Roy Polytechnic College at Durgapur in East Burdwan, was arrested from his Ketugram home after the police followed a link related to the deadly game. The online play, featuring a scary image of a girl with her distorted face and bulging eyes, has been creating a sort of terror across West Bengal as police have been receiving reports from various quarters, particularly the student community offering them to play or face dire consequence. The latest Momo game is similar to that of last year's killer 'Blue Whale Challenge' game. Police arrested the engineering student after the accused had offered a third year college student Joykrishna Pal to play MOMO game on his cell phone. The panicked student then contacted the local police station and hence the arrest was made following the link.